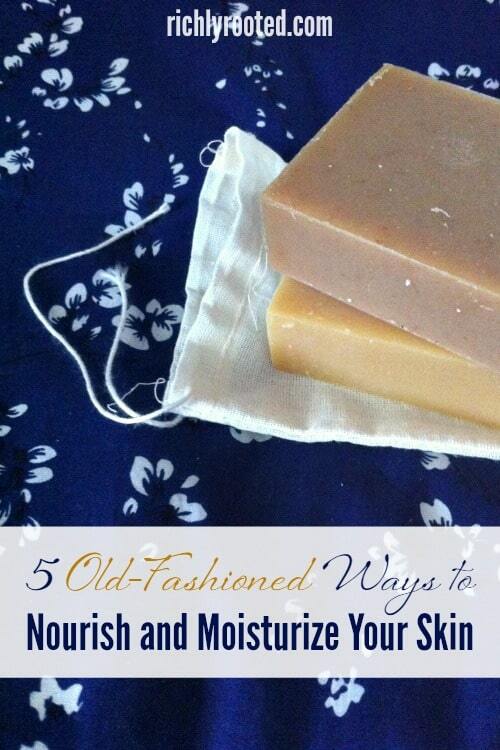 Old-fashioned skincare never goes out of style! Here are 5 natural ways to nourish and moisturize your skin that are a throwback to simpler times. This blog post was sponsored by Wilder Supply Co. All opinions are genuine and are enthusiastically my own. Do you want to be like the average American woman and spend over $200,000 on skincare over the course of your life? Or would you like to opt for a simpler, more frugal route? In a society with a dizzying array of skincare options, I’m glad that we always have the option to choose simplicity. Women have been showing their beautiful faces for thousands of years…a long time before advertisements told us we needed bronzers and brow gels! I’m certainly not opposed to applying makeup and body products, but I never want to stop being intentional about the way I choose and use them. I also know that it takes more than surface products to achieve beautiful skin. If your habits and your diet are rubbish, you’ll see the effects on your body. You can’t win the battle with makeup. Take a commonsense, old-fashioned approach to caring for your skin, and use that as your canvas for building a look that’s healthy and vibrant (inside and out!). You know you’re supposed to prioritize sleep, and you can feel and see a physical difference when you’re sleep deprived. But so many of us shortchange ourselves in this area. We stay up “just a little longer,” thinking we can always make up the sleep debt later. 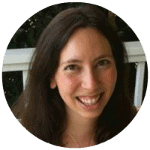 It’s a dangerous cycle to fall into, because all too often we don’t pay back that sleep debt, and our bodies pay the price. When you don’t get enough sleep (7-9 hours, according to WebMD), your body will get more wrinkles, more acne breakouts, more puffiness, more sagging. On the other hand, proper rest allows your body to manage water, increase blood flow to improve your complexion, and repair damaged skin. 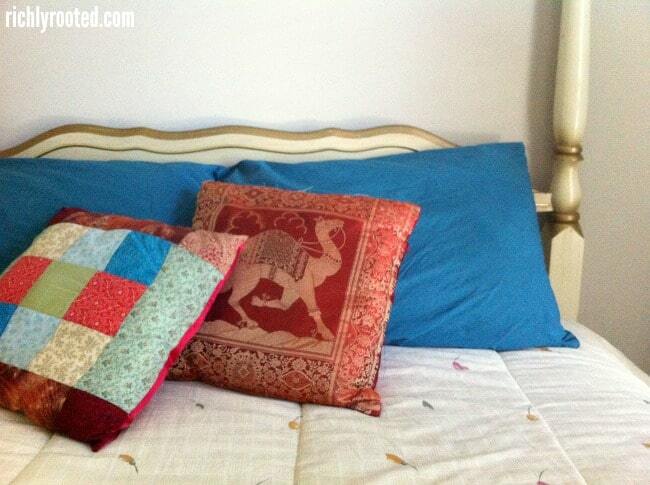 Sleep is foundational to healthy, nourished skin–and it’s free. Our phones and electronic devices are a modern-day hindrance to adequate rest, so get them out of your bedroom and consider taking a break from them in the evenings. It’s easy to get wooed by the latest body wash that boasts pomegranate extract or exfoliating beads…or that simply comes in a trendy package. But the pretty labels and hip marketing claims hide the fact that many of these shower favourites actually contain toxic chemicals. Body washes and gels hit the mainstream market in the 1990s, but the classic bar of soap has been around since the early 1800s (earlier versions of soap date back to the ancient Babylonians!). If you want to cleanse and moisturize your skin without a side of toxic ingredients, unwrap an old-fashioned bar of soap instead. And by old fashioned, I mean soap that’s traditionally made, without modern-day shortcuts that negate the skin benefits of a carefully-crafted bar of soap. 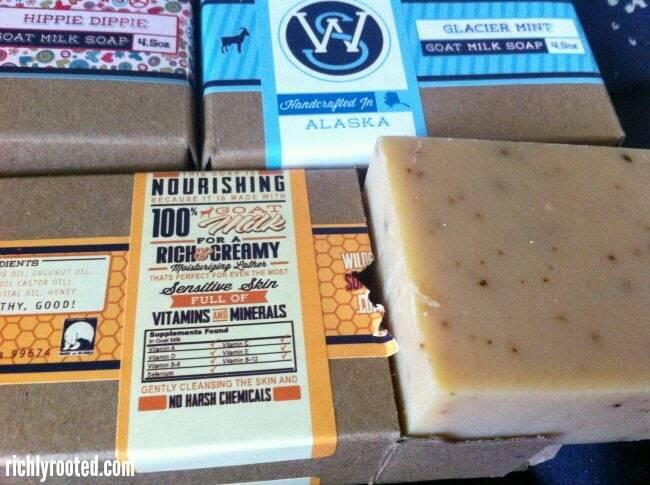 My favourite handmade natural soap comes from Wilder Supply Co., a family business located in tiny Chickaloon, Alaska. The Wilders use the cold process method to make their goat milk soap. It takes longer to produce than mainstream (hot process) bar soap, but is far more moisturizing and won’t strip your skin of its natural oils. I love all of the soaps they make, but I particularly like the Buttered Apple Spice and the Dragon’s Blood bars. All of their bars contain goat milk as the first ingredient, collected from the goats raised right there on the Wilders’ farm! The goat milk makes the bars both extremely hydrating and also nourishing–they contain minerals, vitamins, and proteins that your skin craves. Drinking plenty of water lets your body flush out toxins. If you don’t drink enough water, your vital organs begin to pull the necessary water from your blood and skin cells, which leaves your body looking haggard. We have entire grocery store aisles devoted to beverages, but water should always be your default and most frequent choice. You can stick with the old rule of 8 glasses of water a day, but a better indicator of whether you’re getting adequate water is your urine. Basically, it should be very light in colour and shouldn’t have much of a smell. I like the taste of regular tap water and I only use a Brita filter, but if you want water to be more exciting, try infusing it with fruit, cucumbers, or herbs, or add a splash of apple cider vinegar. There are so many good foods you can eat to build healthy skin from the inside out, but berries pack a heady punch. Berries are loaded with antioxidants that protect your skin from sun damage and help to restore collagen/skin elasticity. They also contain Vitamin C and fatty acids that hydrate your skin and reduce inflammation (i.e. they help with acne!). Be liberal in adding berries to your meals (here are over 100 berry recipes to try!). Forage for berries when they’re plentiful, or visit a local pick-you-own farm. Get extras to freeze so you can eat them all year round. Be careful what you rub on your skin, because your body will absorb it! That might sound obvious, yet many of us slather on lotions and moisturizers without a glance at the ingredient list. I started looking for shorter, simpler ingredient lists for my moisturizers over seven years ago, but eventually I pared down to one-stop-shop whole oils and butters. I realized I didn’t need a fancy concoction that touted Argan oil on its label when I could just use the plain Argan oil instead. So I did. 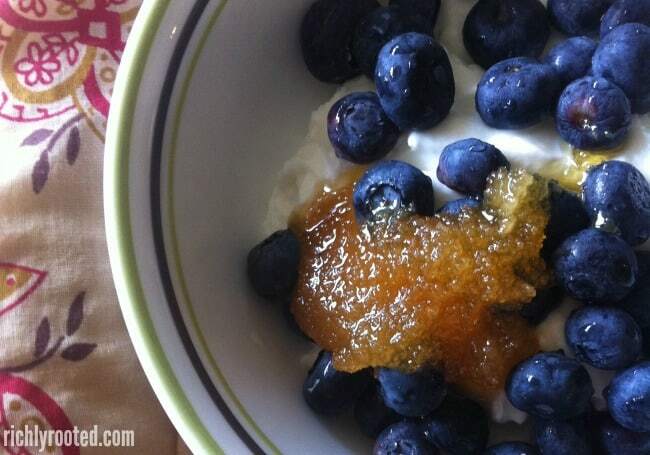 I began using skincare ingredients that were safe enough to eat. Traditional cultures have used shea butter, jojoba oil, and other other plant-based butters and oils to improve skin, hair, and nails for centuries, but these ingredients have only gained widespread notice in the last couple of decades. Each oil or butter has a slightly different nutrient profile. What most have in common is that they’re highly moisturizing and nourishing. I’ve tried several different kinds, but shea is my favourite butter to date and jojoba and Argan are my favourite oils. I use the Wilder Supply Creme Brulee Shea Butter on my hands instead of a lotion, and Radiance Body Oil as an all-over moisturizer. In a world that’s saturated with hype, marketing gimmicks, and big companies that prioritize profits over people, there’s nothing more refreshing than finding a small business who truly cares about their customers–and puts quality and craft into everything they do. Wilder Supply Co. blew me out of the water with the aesthetics and performance of their skincare products. When I got to know the family behind the business I was even more impressed! I bought my first products from Wilder Supply a few years ago, and knew right off that it was too good of a company to keep to myself! I wanted to partner with them here on the blog, so I sought them out and they graciously agreed. As a Richly Rooted reader, you can get 10% your entire order from Wilder Supply! Use the coupon code RR10 at checkout. Peach Lip Balm – This balm glides on like silk and has a light, juicy scent. 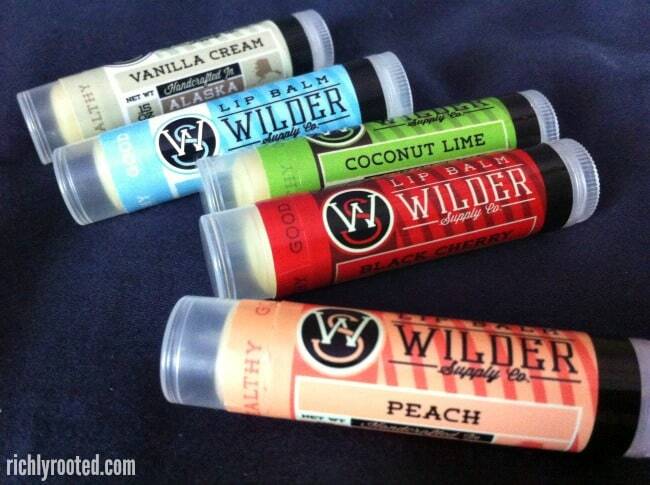 You should also check out the Black Cherry and Coconut Lime balms! Beard Oils – My husband loves these manly-scented oils for conditioning his beard! Creme Brulee Shea Butter – This is what sold me on the company to begin with! I adore creme brulee, so I had to try this decadent, dreamy-scented butter for myself. It doesn’t disappoint! I occasionally use it as an all over body moisturizer after a shower, but especially use it on my hands before bed. Radiance Body Oil (Grapefruit) – I use a few squirts of this after a shower to lock in moisture. It sinks into my skin easily and doesn’t leaving me feeling greasy, as some oils have done. 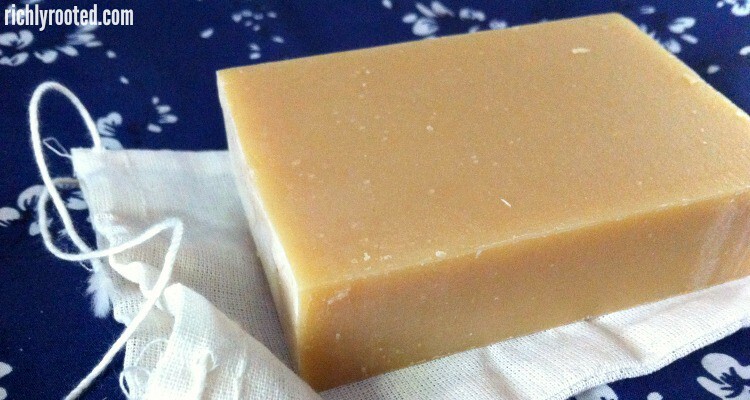 Buttered Apple Jack Spice Soap – This works into a silky, creamy lather and smells both comforting and invigorating! 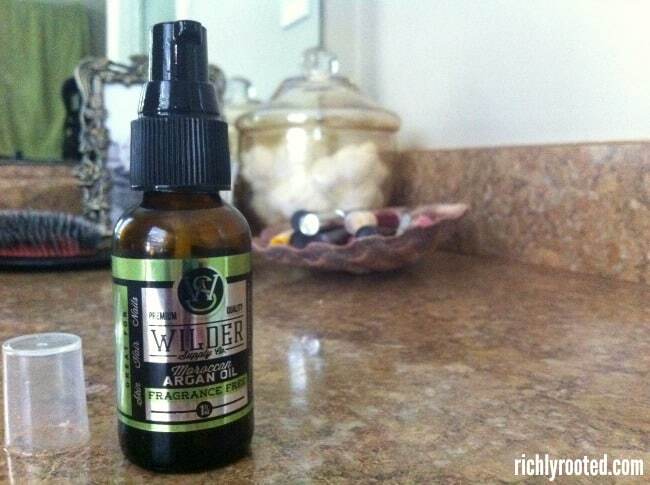 Moroccan Argan Oil – This is my go-to facial moisturizer; I apply a few drops after washing my face each night. I don’t need to layer it with any other moisturizers or face creams. It’s lightweight and penetrates the skin quickly, leaving my face feeling–and looking–hydrated. Wilder Supply truly embodies old-fashioned, health-giving skin care, and I feel like I’ve discovered a hidden gem! What’s your approach to simple, old-fashioned skincare? In the morning, I splash water on my face, pat dry, then spritz with rosewater (you can get it in the ethnic section of your grocery store). 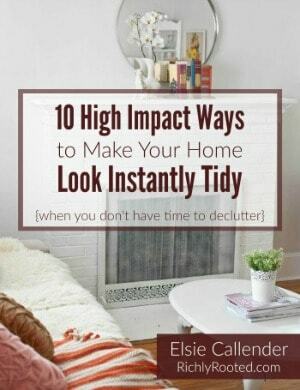 A few months ago, I came across a magazine article about some fashion icon who was recommending that same routine. 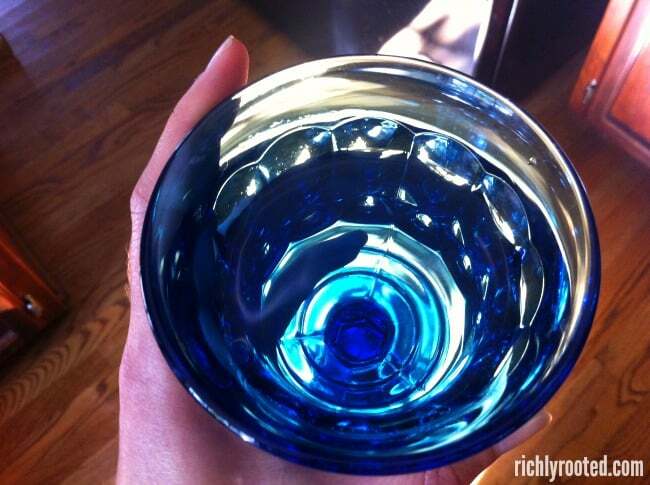 It made me laugh: sometimes the best skincare routines are the easiest and most inexpensive! That’s so funny about the magazine article! And true! I’ve always wanted to try rosewater, but didn’t even think to get it in the grocery store! What brand do you get, and do you mix it with water or anything else first?? Do tell!